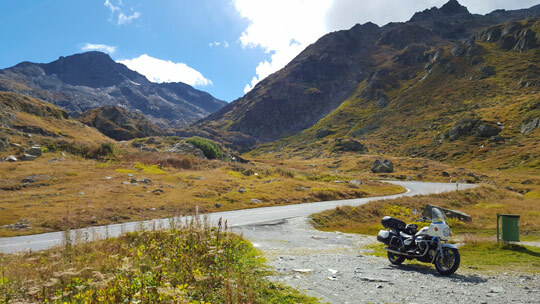 Last weekend I joined a motorcycle group for a most exciting road trip around the Mont Blanc, starting from Geneva, over the Great Saint Bernard Pass to Aosta and back to Geneva, via the Little Saint Bernard Pass. Interesting people, beautiful motorcycles, among which two Guzzi California, hey hey!! [waving the Italian flag 😉 ], delicious food and of course, technical roads and breathtaking scenery all along the way. Two days with the highest ratio of hairpin turns per day ever in my life! 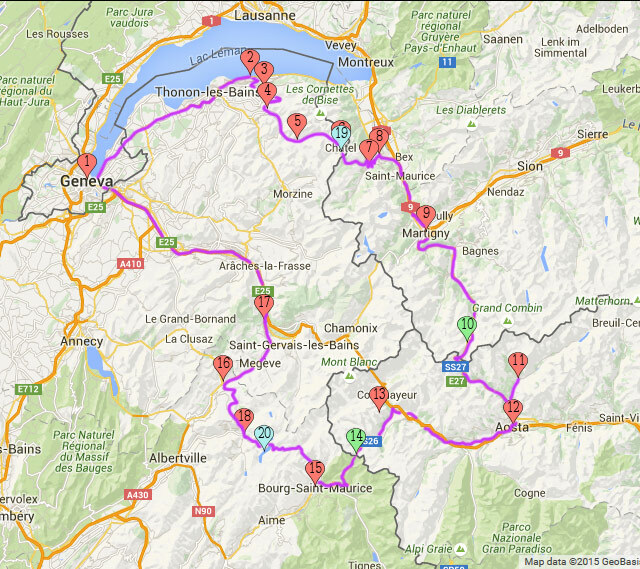 Here’s our itinerary, in purple on the map. 1. Geneva 2. Evian-les-Bains 3. 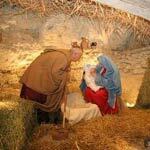 Saint-Paul-en-Chablais 4. Chevenoz 5. Abondance 6. Châtel 7. Troistorrents 8. Monthey 9. Martigny 10. Great Saint Bernard Pass 11. Valpelline 12. 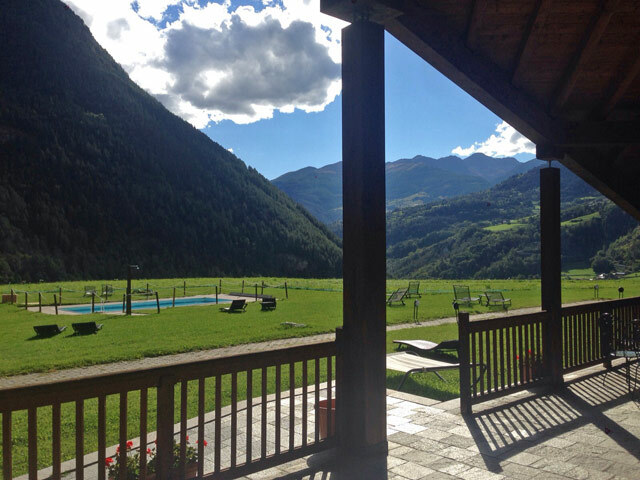 Aosta 13. Pré-Saint-Didier 14. 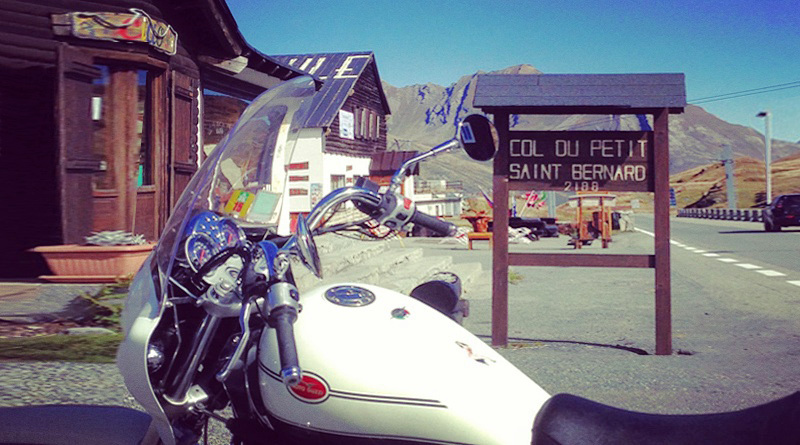 Little Saint-Bernard Pass 15. Bourg-Saint-Maurice 16. Flumet 17. Sallanches 18. Beaufort 19. Lac de Vonnes 20. 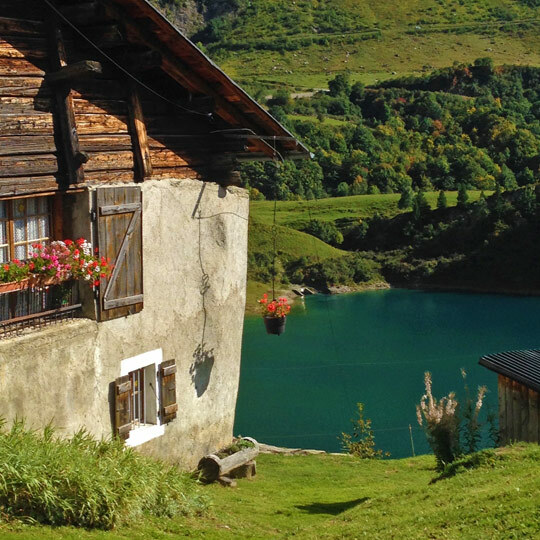 Lac de Roselend. Via Mapcustomizer. For once, this article will be covering three countries, Italy, France and Switzerland. 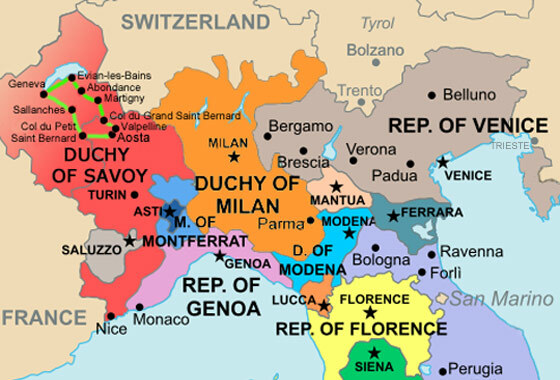 Interestingly, however, the territory we covered on our motorcycle tour all once belonged to the Duchy of Savoy, one of Italy’s historical states. The historical Duchy of Savoy in 1494 covering three of today’s countries, France, Switzerland, Italy. 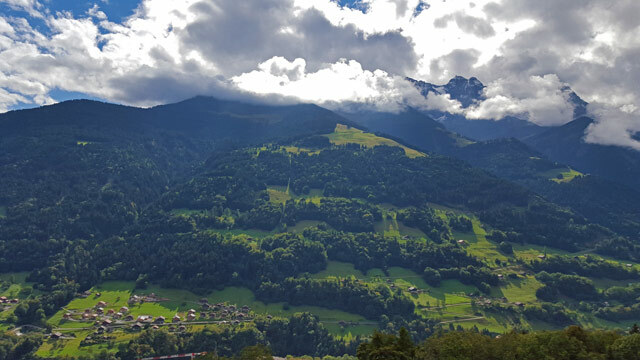 Our alpine motorbike tour covered the part in green within the ancient Duchy. We left Geneva rather late in the evening on Friday night via the D1005 in direction of the French town Douvaine. As the night was getting pretty cold, we decided to spend the first night on the Leman Lake in Evian-les-Bains, famous for its springs, its casino and, of course, its Evian mineral water. For those of you who would like to arrive the day before and stay overnight in Evian before starting the road trip we recommend Hotel Littoral, a small, cozy hotel with an excellent quality-price ratio, just off the lakeside. The following morning we left Evian after a hearty breakfast hitting the road towards Maxilly. From there we followed the charming D21 in the direction of Bernex, passing through Saint-Paul-en-Chablais, then the D32 to Chez-Bochet and Chevenoz and the D22 towards Abondance. 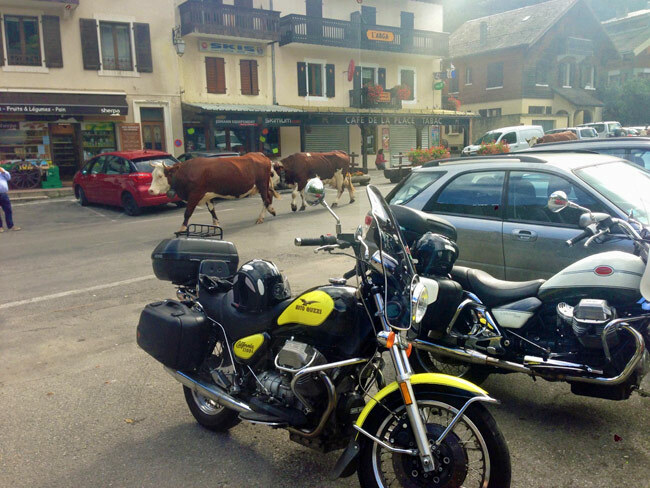 In Abondance we had a coffee break right at the moment when a herd of cattle, complete with cowbells, crossed the town. There were about two dozens of them, but we managed only the get the last two on camera ! 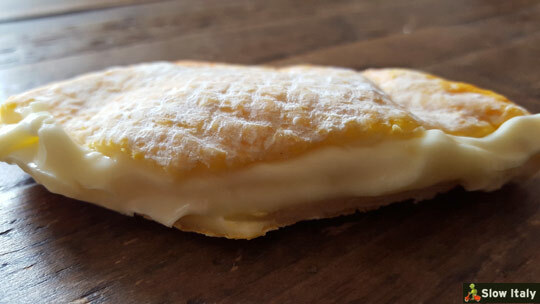 This local Abondance breed of cows, typically golden brown with a white head as you can see in the picture, produces milk rich in both fat and protein that is used to produce AOC cheese, such as Reblochon and Beaufort, among others. Half an hour later we were back on track, following the beautiful D22 road from Abondance to Châtel and to the French-Swiss border, passing through the Vallée d’Abondance. 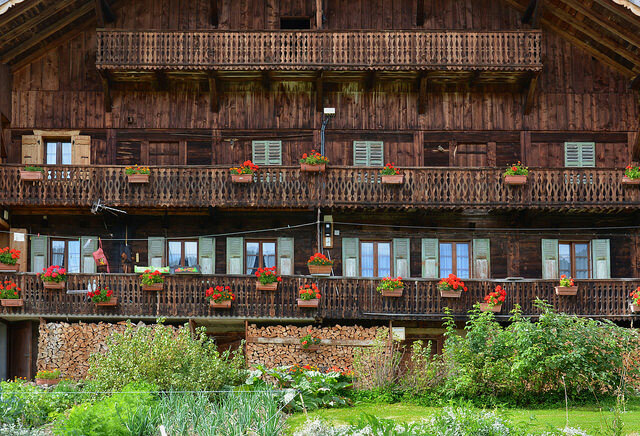 The Vallée d’Abondance is known for its large, beautiful farm chalets and its XIIth century abbey, the first savoyard building to have been classified as a “Monument Historique”, a designation given to French national heritage sites. 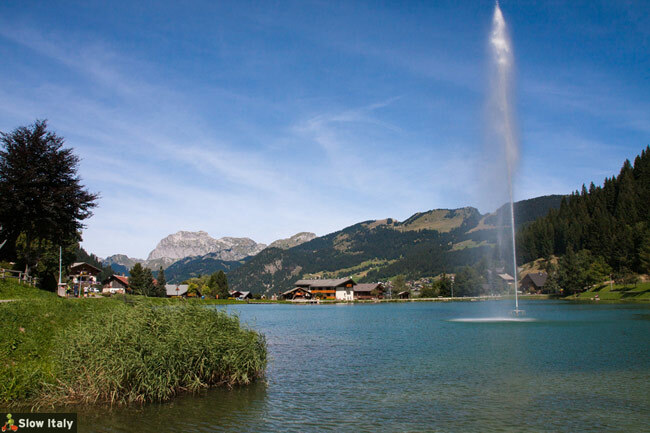 After Châtel, right before the French-Swiss border, we passed by the Lac de Vonnes, with its typical fountain, looking like a small replica of Geneva’s Jet d’Eau. Lac de Vonnes, Châtel. Photo © Aurélien Antoine. 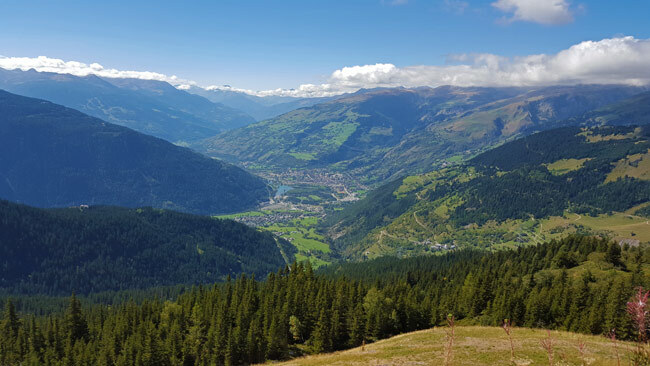 The high mountain pass Pas de Morgins (1369m) marks the border between France and the canton du Valais in Switzerland. After the border we followed the Route de Bas-Vièze and the Route de Morgins hitting a series of hairpin turns at Troistorrents. From there we headed towards Monthey, then Massongex. 6. Châtel 7. Troistorrents 8. Monthey 19. Lac de Vonnes 21. Pas de Morgins. Via Mapcustomizer. 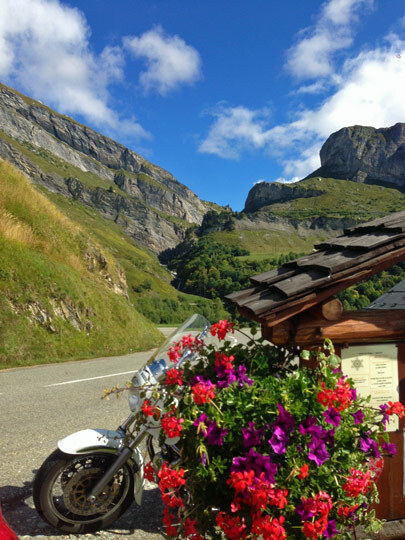 At Massongex we took the Swiss highway E21 to Martigny, where we had lunch in a nice oenothèque (wine bar). 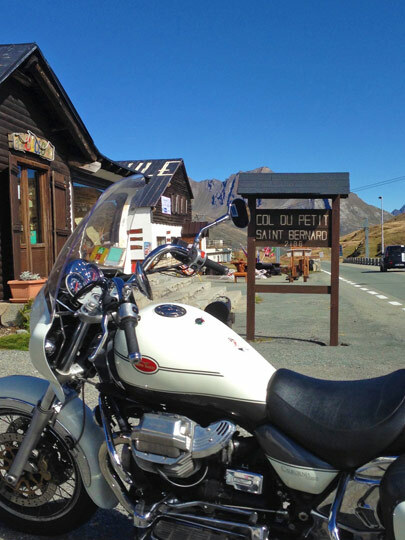 After lunch we proceeded on the highway E27 until the Great Saint Bernard pass. The road swings up the valley to the storage lake with the intersection between the tunnel and the pass road. The indication to the Col du Grand Saint-Bernard is a very small sign on the right, just before the entrance of the tunnel. It’s really easy to miss if you are not careful! 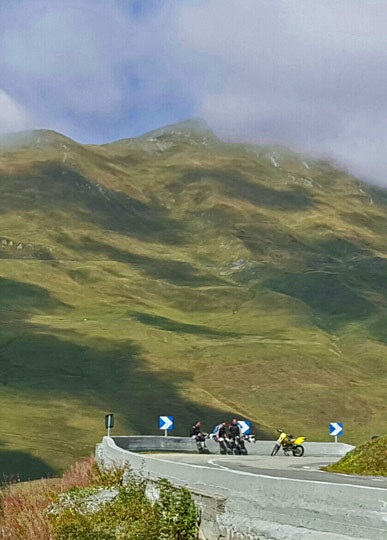 The Great Saint Bernard pass, culminating at 2469m, is the third highest pass in Switzerland. It connects the Swiss canton of Valais with the Po Valley in Italy and is of very ancient origin. Some of Europe’s greatest leaders crossed it, such as the Holy Roman Emperors Charlemagne (in 775) and Frederick Barbarossa (in 1174 and 1175), as well as Napoleon (15-21 May 1800). Its was also here that the famous St Bernard’s dogs were bred and trained to rescue travelers lost in the snow. After the pass we descended down the road to Aosta. We decided (quite on-the-spot) to spend the night in Valpelline, after we saw a funny sign saying “Le Lièvre Amoureux”, which left us wondering what kind of hotel or hostel that could stand for. We followed the sign for about 8km and arrived at a typical alpine building with separate bungalow rooms and a small pool offering a lovely view over the valley. What totally got us were the inviting loungers placed pretty much everywhere on the lawn overlooking the valley. 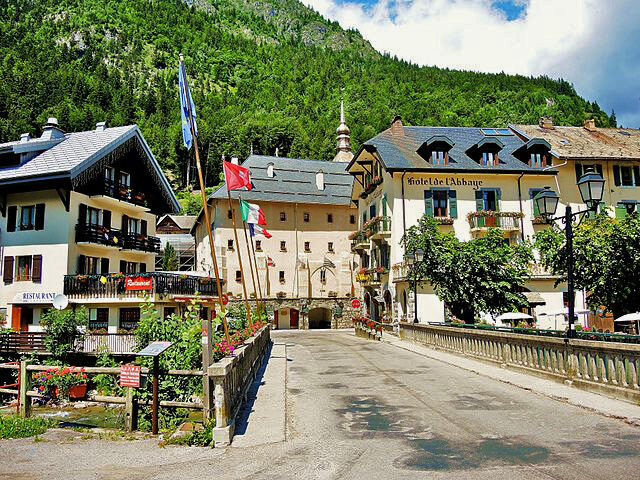 Hotel “Le Lièvre Amoureux” in Valpelline, Aosta Valley. Valpelline is a small town in a farming village, popular with visitors in summer. The charming houses in the old town center of town have typical slate roofs and wooden balconies. 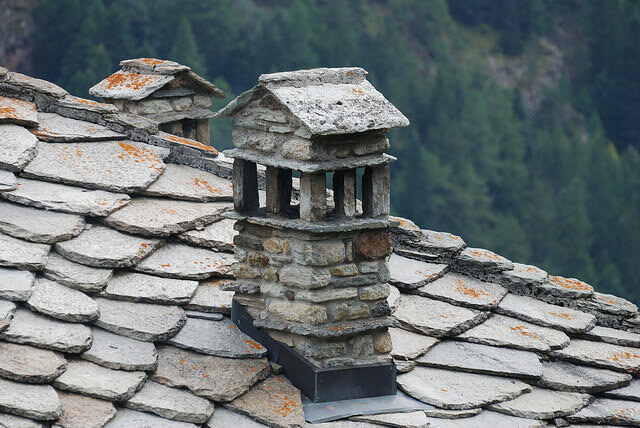 Typical slate roof in Valpelline, Val d’Aosta. Photo by Alessandro. For dinner we decided to drive to Aosta, the regional capital of the Valle d’Aosta. 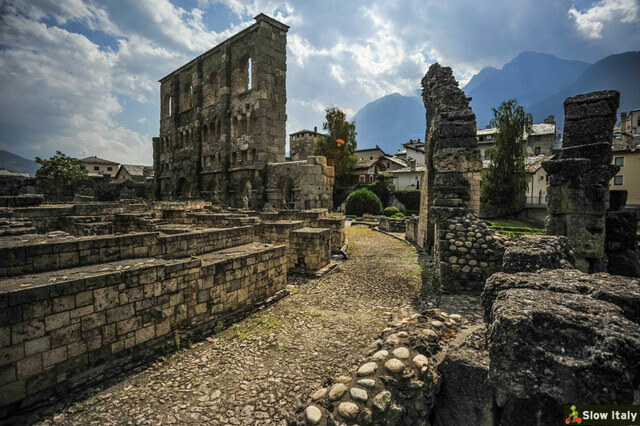 Founded by the Romans in 25 BC as a settlement on a key route across the northwestern Alps, Augusta Praetoria Salassorum as it was then called, is definitely worth visiting ! With its many Roman remains in the historic center and delightful eateries and wine bars, the city provides an ideal setting for a relaxing evening after a strenuous ride. Roman theater, Aosta. Photo © paolo_74. 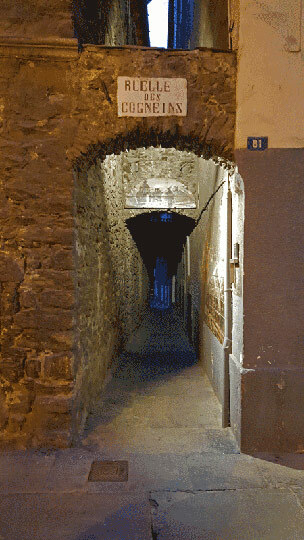 Typical picturesque little street (vicolo) in the historic center of Aosta. Photo © Slow Italy. 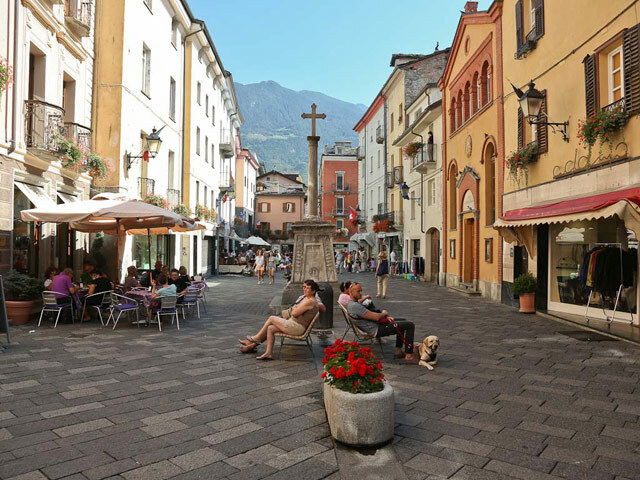 Via Croix de Ville, one of the ancient and very characteristic streets of Aosta. The crucifix was erected in 1541 to commemorate the expulsion of the Calvinists from Aosta. It was moved to its current location in 1841. Photo © Visit Aosta. For dinner we headed to Via Croix de Ville where we found a pleasant winebar, Enoteca Croix de Ville. 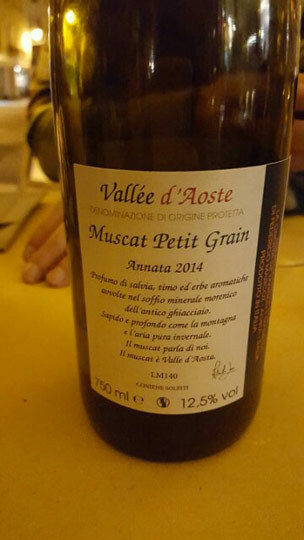 The owner Davide recommended us some excellent wines among which a local Muscat Petit Grain of 2014, fruity on the nose and dry on the palate, excellent as an aperitif but also suitable with the Ravioli Plin I had. I especially recommend their cassata siciliana for dessert. 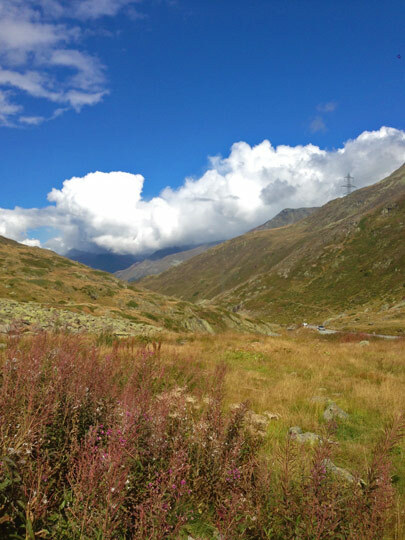 On Sunday morning we left Valpelline in the mid morning and followed the SS26 from Aosta to Chenoz. On the ascent of the Little Saint Bernard pass the first town we crossed was the lovely flowered town (città fiorita) of Pré-Saint-Didier with a series of hairpin turns. The Petit Saint Bernard Pass separates the Vallée d’Isère on the French side from the Valle d’Aosta on the Italian side. The Pass has existed since Antiquity as attested by the numerous Roman and celtic remains. 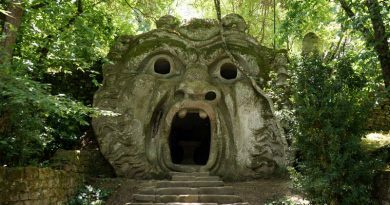 It is believed that it was here that Hannibal crossed the Alps to invade ancient Rome. At the Little Saint Bernard pass we stopped at the Bar S Bernard where had a hearty lunch to recover from the cold, starting with Barley soup and followed by the local carbonada, a stew of salt-cured beef with red wine, pancetta, onions and… cinnamon, which gives this dish a quite peculiar taste. Other main dishes included coniglio in umido (stewed rabbit), which was just delicious, all served with homemade polenta. After this most restorative meal we continued on the SS26 towards the French border. On the French side we crossed the Ancien Hospice du Petit Saint Bernard, built in the 11th century by Saint-Bernard de Menthon to provide shelter to travelers crossing the pass. 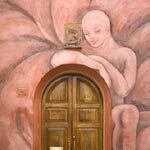 After being in disuse for decades the building reopened recently as a hostel. For info see: www.bureau-montagne-haute-tarentaise.fr/hospice-du-petit-saint-bernard. 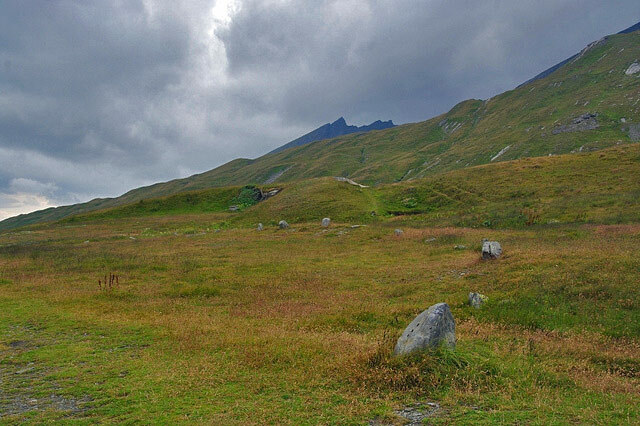 Cromlech at the Little Saint Bernard pass. Photo by Genevieve Romier. The national road crosses a megalithic complex, known as a cromlech, a celtic cult site built in prehistoric times by the Salasses, the celtic inhabitants of the Aosta Valley. Not to be confused with the remains dating back to World War II ! Going down from the pass following the national road D1090 towards La Rosière is a panorama point called “Les Arcades” offering spectacular views over the Tarentaise Valley and Bourg Saint Maurice. From La Rosière we proceeded on the D1090 towards Séez, following another series of hairpin turns, and Bourg-Saint-Maurice. At the roundabout in Bourg-Saint-Maurice we took the D902 in the direction of Beaufort, on a beautiful road all the way to Flumet. 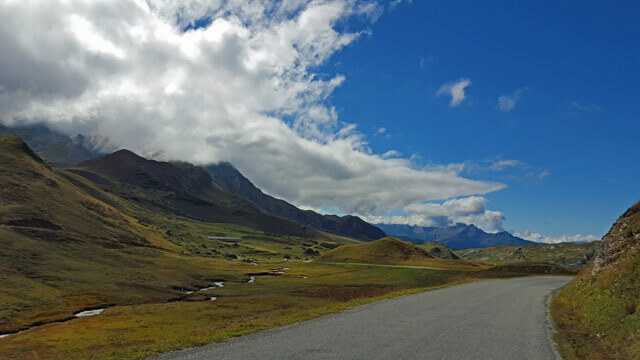 Then for about 20 km we followed the D925 to Beaufort, passing the Col du Cormet de Roselend (1967m), which connects the Beaufortain Valley and the Tarentaise Valley and the Col de Méraillet (1605m). 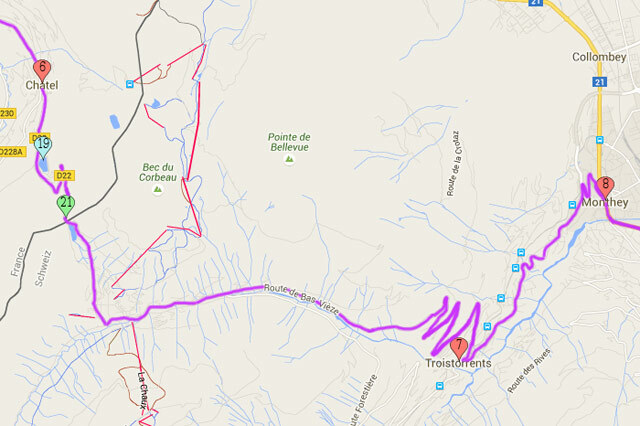 From Bourg-Saint-Maurice to Cormet de Roselend the climb is about 1154m. A bit more further down on the Route de Roselend at Arêches-Beaufort is a lovely place called Etoile des Neiges, where to have a sweet break. 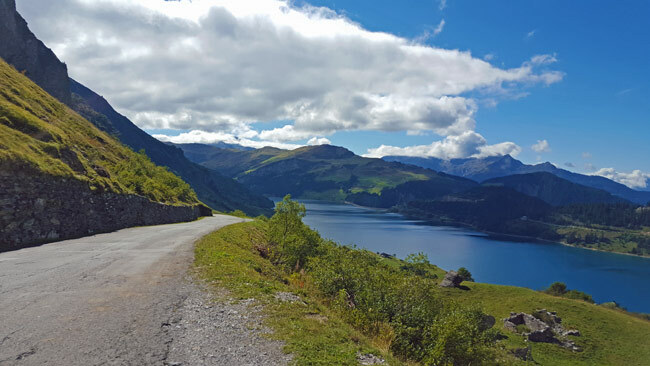 The place offers beautiful views over the Roselend lake. Close after Beaufort we turned right following the D218B, then after a series of bends passing close to the Col de Saisies we turned left on the D218C. From Flumet we took the D1212 to Megève, then Sallanches where we took the highway back to Geneva. All photos © Slow Italy, except from top to bottom: Abondance by Espirat; Abondance chalet by Jean-Paul Lesage; Lac de Vonnes © Aurélien Antoine/Fotolia; Valpelline roof by Alessandro/Flickr; Roman theater at Aosta © paolo_74/Fotalia; Aosta © Visit Aosta/Flickr; Cromlech by genevieveromier.